With coffee chains’ loose interpretations of classic drinks, it’s harder than ever to distinguish between different espresso-based drinks. If you were to just order a macchiato from Starbucks, you’d probably receive a syrupy latte-esque drink. That’s a far cry from the traditional espresso macchiato. This phenomenon has caused issues for specialty coffee shop owners, as chains warp the consumers’ understanding of coffee-terminology. This creates a cycle where people who try to branch out from their go-to chain feel alienated at their local café and simply return to the misguided chain. So we’re here to help clear up some misconceptions about espresso-based coffee, namely macchiatos and lattes. Read on, so you can feel confident and comfortable next time you visit a java shop. These are the two base ingredients for both the macchiato and the latte (and plenty of other popular coffees). However the ratio of these ingredients and the methods used to add them vary greatly. 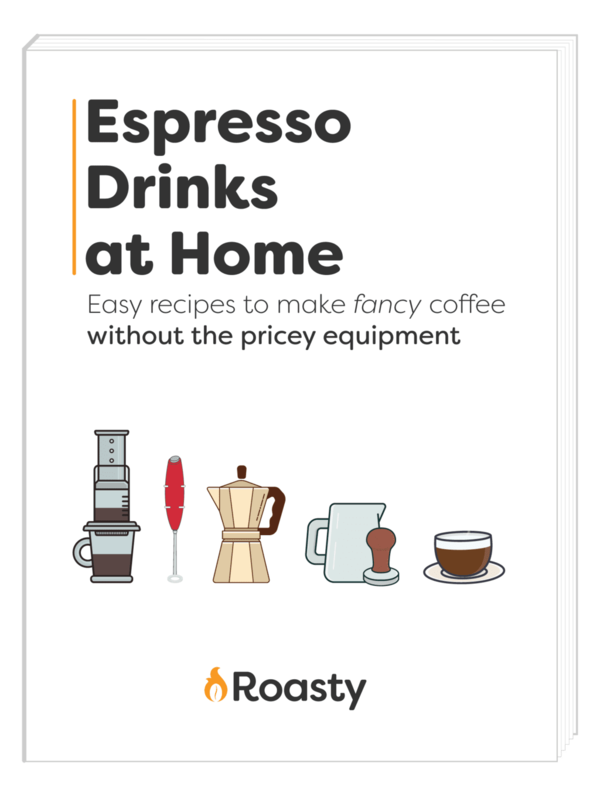 Regardless, if you are looking to make any of these espresso based drinks at home, you will probably need an espresso machine with a steaming wand. That means they might not be the most practical at-home options. That is unless you already have an extensive coffee toolkit or a considerable budget. Macchiato means “marked” or “stained” in Italian. In coffee culture, it means slightly diluting either espresso or steamed milk with the other. The first thing you need to know about macchiatos is that there are two different kinds: the espresso macchiato and the latte macchiato. If you order a macchiato anywhere outside of the usual chains, you are going to receive a small demitasse cup, not some huge vessel. It will have a shot or two of espresso and a splash of steamed milk and foam on top. Here is the point of contention that coffee fans have with chains. This espresso-lover’s dream is definitely NOT what you get when you ask for a macchiato there. These drinks originated as a way around the cappuccinos-are-only-for-breakfast standard in Italian coffee culture. They perfectly combine the need for a mid-afternoon kick of an espresso shot and the creamy texture of a cappuccino. The latte macchiato is marginally closer to what you will get at a coffee chain. However, it is the polar opposite of the espresso macchiato, and the espresso “stains” the milk (rather than vice versa). These drinks are a good bit more technical than an espresso macchiato or a latte. Coffee shops usually serve them in 12 oz glass cups so that you can see the distinct layering between the milk, espresso, and foam. Latte macchiatos are made by slowly pouring about one shot of espresso into a cup that is already 1/3-1/2 full of steamed milk. The goal is to try to prevent the milk and espresso from mixing entirely. This method gives the drinker (if he or she chooses not to mix the drink) a flavor gradient beginning with foamy espresso that is then soothed by creamy steamed milk. 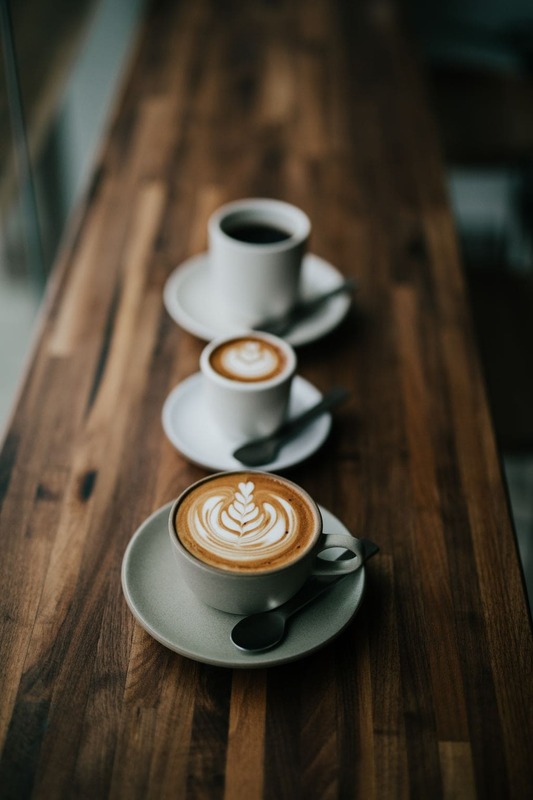 In Italy, a latte is called a caffé latte, meaning “milk coffee.” This drink has been around for over a century and is probably a fan favorite no matter what kind of coffee shop you’re in. An important part of a latte is the incorporation of the steamed milk. A latte usually includes 5-6 oz of milk, which is added to 1-2 shots of espresso. The main thing here is that the milk is incorporated or mixed, meaning that (for the most part) your latte will taste the same from top to bottom. We’ll get more into how exactly that consistency is accomplished later. Another important element of a latte is its foam. While a latte macchiato will probably just have a dot in the foam where the espresso was poured, lattes often have artsy touches on top of them. Baristas tend to use the creamy microfoam to create designs ranging from simple hearts and leaves to Degas-level masterpieces. Once you know what they should look like, it would be pretty difficult to confuse an espresso macchiato and a latte by sight or taste. So, the two drinks we are really going to compare are the latte macchiato and the plain latte. The main differences between these two drinks are the order of the ingredients and the method used to add them. What came first, the milk or the espresso? If the milk is in the cup before the espresso, then you have a latte macchiato. The other way around means your making a latte. For a latte macchiato, the espresso is carefully added to the steamed milk so that the thinner java will sit on top of the thicker milk. The milk foam then rests on top of both. With a latte, the steamed milk is painstakingly incorporated into the espresso, which is already in the cup. The result is a seamless, creamy mixture topped with foam. Both of these drinks involve a very specific method for adding the second ingredient to the first. When espresso is added to milk extremely slowly, you end up with a beautifully layered latte macchiato. When you pour steamed milk in a widening, circular motion into espresso shots, you get the harmonious blend of a latte. If you pour the espresso in a latte macchiato the same way you put milk in a latte, you’d just have a weird, weak latte. Side note: A latte macchiato usually has one shot of espresso (maybe less), but a latte has 1-2 (2 is more common in the US). So with a macchiato, you have a fairly distinct flavor gradient from the strong first sip to the milky last sip. If you don’t like the developing taste, you can mix it once you get it and it will have a slightly less velvety texture. Whereas, you’ll have a consistent, creamy taste and texture throughout a latte. Want something that’s just a half-step away from a shot of espresso? Order an espresso macchiato (make sure to specify the espresso part if you’re at a chain shop). On the other hand, if you order a latte macchiato, you’ll get much less of that coffee kick. These are great for kiddos to feel included on coffee runs (because they tend to have less espresso) or people who are more fond of dairy than coffee. Lastly, if the latte macchiato isn’t strong enough for you or you want your ingredients mixed before they get to you, try a latte instead.